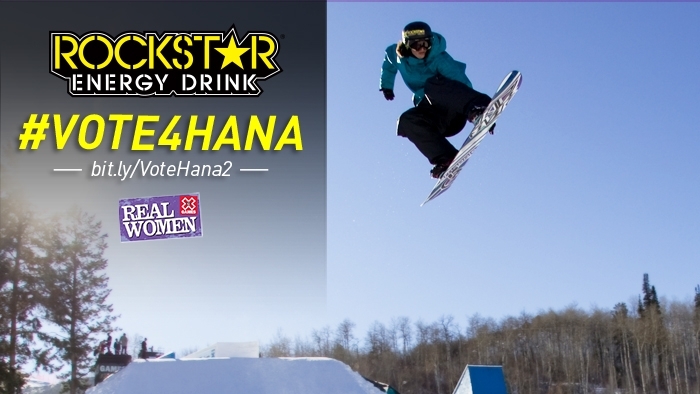 Hana Beaman is one of eight women competing in the X Games Real Women video competition. After sailing through the opening round, Hana needs your help to get to the finals! Vote for Hana in Round 2 here. Vote once per day until May 13th! About the competition: "Eight of the world's most talented women in action sports have submitted 75-second video parts for a shot at X Games gold. Medals will be awarded by a panel of X Games judges, but the Fan Favorite will be decided by YOU! Cast your vote today."